Is a Beagle on the horizon for your family? Or are you still struggling to decide whether this is the best pet for you? Let’s take a closer look at this beautiful breed and how they might fit into your lifestyle! Beagles are very popular dogs, and we get asked a lot of questions about them. Here are some of the most common queries, with links to their answers! 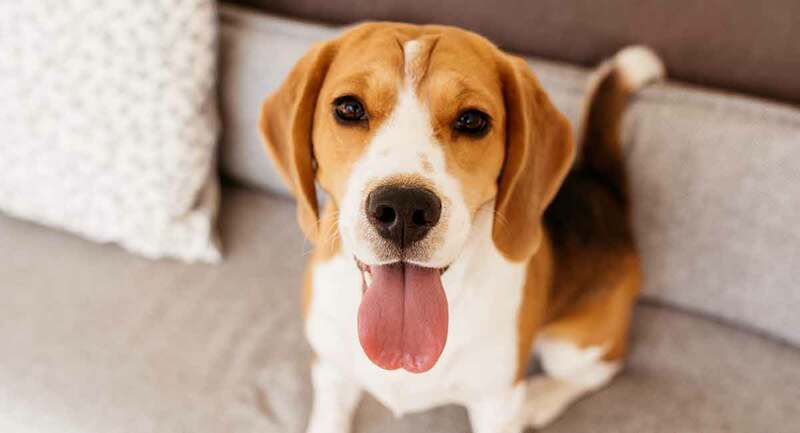 Do Beagles make good house pets? In this complete guide, we’re going to let you know the ups and downs of ownership. From temperament to training, exercise to home life. We’ll also give you the low down on their health, lifespan and plenty more besides. Let’s take a closer look a this bouncy breed! 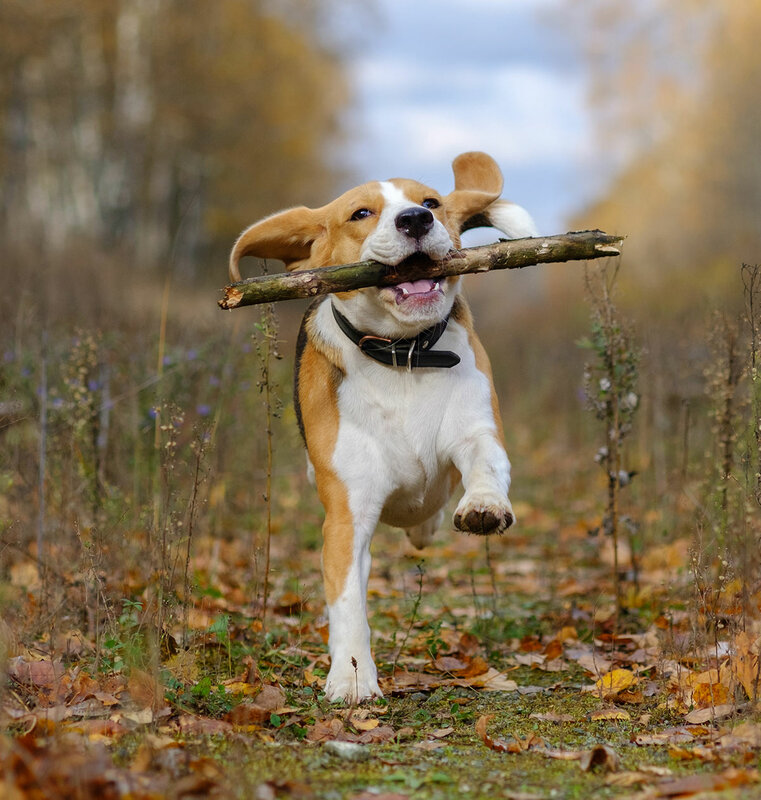 Beagles might be popular pets now, but they started out as a hard working hunting hound. The traditional role of the Beagle is well known. Bred for generations to work and hunt in packs, they are perhaps most commonly associated with fox hunting with horses. Beagles love to use their noses, and they are very good at it. Even if you are not interested in working your dog, this inquisitive pup will really benefit from some scent work training. 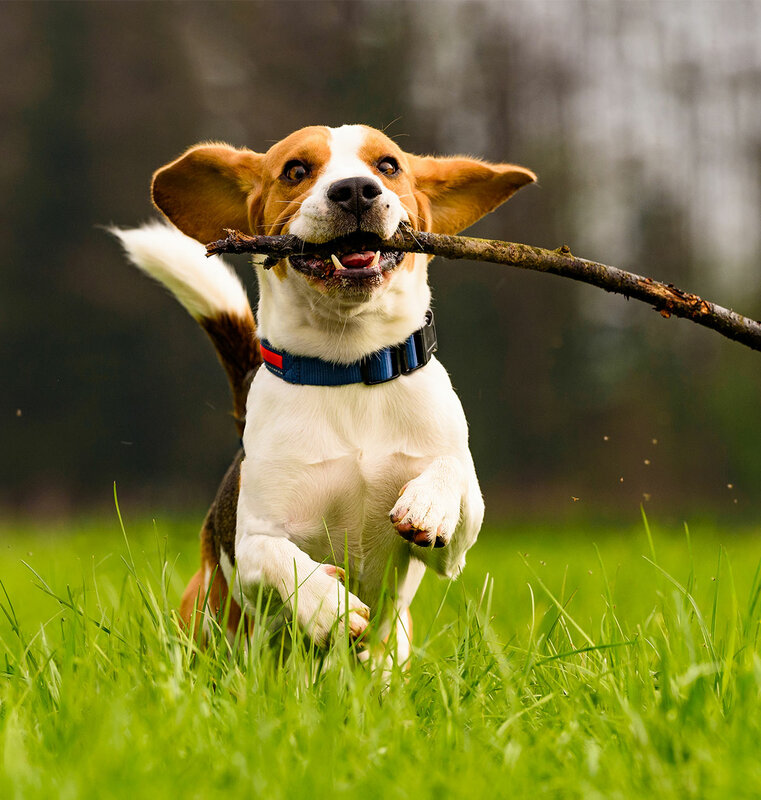 Beagles as a breed get huge enjoyment from following a trail or seeking out hidden items. They can make fantastic search and rescue dogs or contraband sniffer dogs for this reason. What do Beagles look like? These are sturdily built, compact dogs. And they have a very traditional hound-like appearance. With long ears and a proud head, and a long proudly held tail. They have short coats which are normally tri-coloured, with a mixture of tan, black and white. But they can come in a range of other colours, including blue, white and tan, pied or mottled. Beagles are traditionally associated with a tri color pattern. Predominantly colored in black, brown and white. But they do come in other shades too. Lemon Beagles are particularly popular, with their pale shade and less defined pattern. Blue tick Beagles are a striking bunch. With gorgeous flecks of color throughout their coat. Beagles in general have really lovely temperaments. This is largely down to their breeding, as they were selected for group work. They are fantastically friendly to other dogs and human alike. They are by nature very social creatures, and love to be around you. The downside of their social natures is that they don’t like to be left alone. They also require plenty of exercise as they are a fit and energetic breed. Taking them out for a good long walk or a few sprints is a necessity. They tend to be tolerant of most humans and to get on well with the members of their family. However, any dog when afraid can potentially become aggressive. We recommend thoroughly socializing your puppy from the time he gets home. Take him to meet lots of people, and have lots of people visiting your home for the first few weeks. This will help him to see strangers as normal and a positive thing. A confident dog is a friendly dog. Are Beagles a noisy breed? Life with this breed is unlikely to be a very quiet one. Like most pack hounds, beagles like to ‘sing’. Noise is par for the course with this pup, but there are steps you can take to reduce it. They are very friendly dogs who as we have seen love company, but they do have the classic hound howl down to a fine art. If you have close neighbours or live in a quiet residential area, then this could cause issues for you at some point. It is something to take into serious consideration before getting your puppy. There are ways to reduce howling in hound breeds, but it takes time. As well as an absolute dedication to avoiding and not rewarding the noise from the word go. If you are concerned that you wouldn’t be able to follow through with this, then a Beagle might not be the best dog for you. If you are up for the challenge, then you will have a wonderful, charming, companion to share your home with. A Beagle puppy will have the instinct to chase and hunt, and so a great recall will be essential. Beagles are hounds and as such bred to be rather interested in other animals. Fortunately, they are also highly food motivated. Positive reinforcement training with treats from a young age is therefore essential. You must make sure that your dog’s recall is proofed at each stage. Building up slowly the levels of distractions you expect them to come back to you in the presence of. Training and exercise can be combined, by teaching them tricks, fetching and even to hunt back and forth. Keeping your Beagle fit will help to keep her healthy. 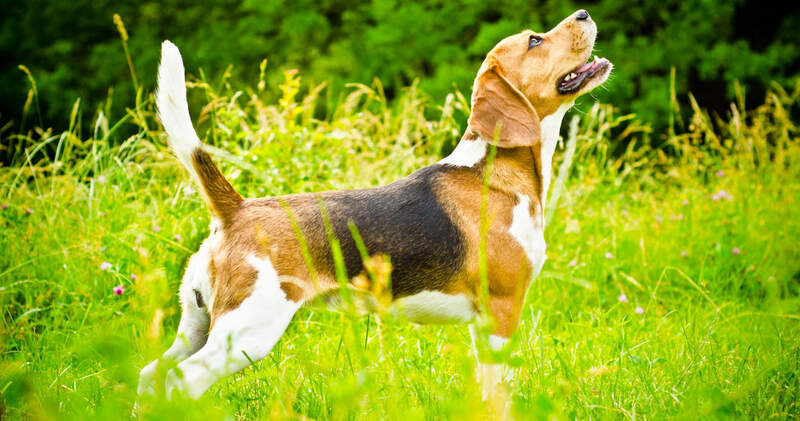 Beagles are relatively healthy and active dogs, but they are not immune to health problems. Let’s take a look at a few conditions you will need to be aware of as a puppy parent. Like many breeds of dog, Beagles are prone to canine hip dysplasia. This is where the hip joint is not properly formed, so that the femur does not rest properly in the socket. Make sure both of your puppy’s parents have good hip scores. This will reduce the chances of him developing it as he grows. Canine Epilepsy is a cause of seizures in some Beagles. Don’t buy a puppy with a family history of this condition. This nasty disorder is characterised by deformities of the feet and face in Beagles. Although not all affected pups will have these noticeable signs, many will. It can result in problems walking and potentially in seizures later on in life. Make sure your pup’s parents are DNA clear. SRM is a disease seen in a few breeds of dog, including Beagles. An immune response triggers and inflammation of blood vessels supplying the brain and spinal cord. It can cause pain in the head and neck, lethargy and a fever. Your puppy’s parents should be clear for this disease. This condition is characterised by blood clotting problems. Cases range from mild to severe, with increased clotting times seen when Beagles undergo surgery. Your dog will only be affected if it receives the mutated gene from both parents. It is a recessive gene, so they can be a carrier without showing any symptoms. Make sure your pup’s parents are tested clear. NCCD is a more recently observed worrying disease. This is a genetic disease that impacts a puppy’s development from birth. It is sadly not treatable, and puppies seen to be affected will normally be euthanized. Fortunately, there is a DNA test for this too. Beagles live on average 12 and a half years, which is a pretty good length of time for a purebred dog. Although active and noisy dogs, Beagles don’t require much in the way of special care. There main needs include plenty of exercise and a good amount of your company. They are fairly small in size and have a neat short coat length. You will not have to groom them too frequently, unless they are moulting or have rolled in something grubby! However, it is still a good idea to get them used to the brush from an early age so that they are used to it. Above all else, she needs companionship in a loving home. Preferably that doesn’t have neighbours who mind the odd howl or two! 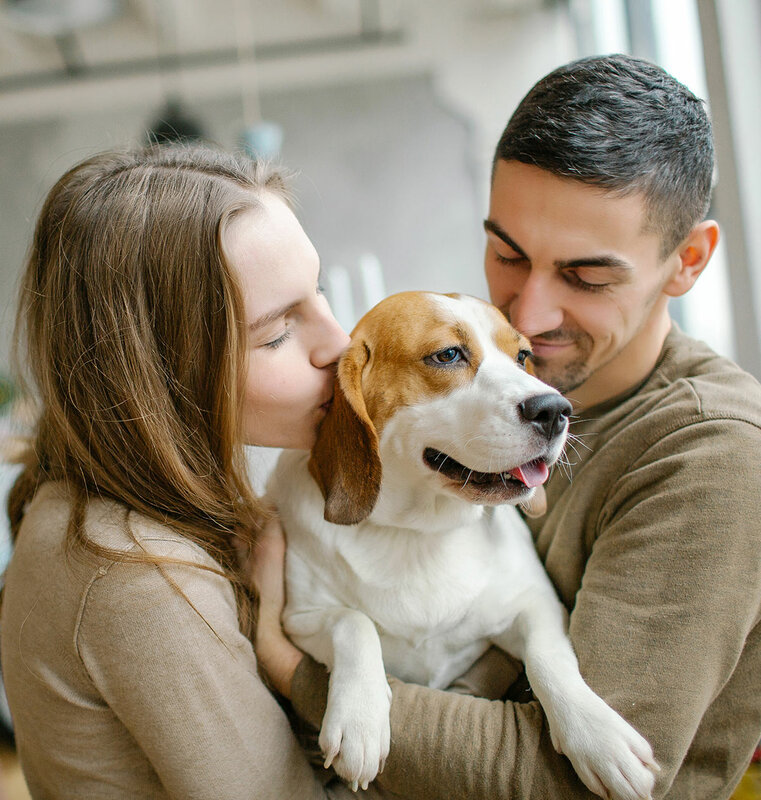 Beagles can make excellent family pets for the right homes. Homes where a family member is home for much of the day are ideal. And those where someone is always keen to get some exercise in are preferable. Very small children might not be compatible with their need for attention. And all puppies go through a chewing and biting stage which doesn’t go well with lots of kids’ toys on the floor. But their generally cheerful temperament is a great fit for an active family. As long as they don’t mind a bit of noise, or are able to stop the kids accidentally encouraging it! Rescuing is a great idea for a family with plenty of time to commit to training. This might well be a longer road with an adult dog that has learned to enjoy running off or chasing the wildlife. But if you have the time to give, then they are likely to pay you back with a whole lot of love. However, for many homes the preference is to start with a puppy. Make sure that your breeder have carried out appropriate health tests before you decide whether to commit to one of their puppies. Most breeders will only test for NCCD and MLS. It’s up to you to decide whether you are happy to run the risk of Factor VII Deficiency, or whether you will wait for a breeder who tests for this too. Due to the early signs of NCCD, you are unlikely to suffer the consequences of this unless you intend to breed from your pup when it is an adult. Understanding the potential health conditions that could affect your puppy is an important part of the responsibility of choosing your new friend. You can find out how much you should expect to pay for a Beagle pup here. Also choose a breeder that has a clear bond with the mother of the pups. They should have as many questions for you as you have for them. And offer ongoing support to you even after you have brought your pup home. Puppies are great fun, but they are also hard work. You can find these and lots more helpful information in our Puppy Care section. Beagles are very popular pets, but there has also been a growing interest in their mixes. One Beagle parent, and a parent from another breed. When you have brought home your Beagle or Beagle mixed breed you will need the right kit. Beagles are great family pets, for the right homes. But before you make your final choice, let’s see how those pros and cons stack up. Beagles can be very noisy, and howl rather than bark. They need a lot of exercise and training. As a breed they can become distressed or destructive if left alone too frequently. They have a high prey drive. They are intelligent dogs that respond well to positive reinforcement training. Their loyalty and love towards their family makes them an easy dog to bond with. They will always want to spend time together, and be a constant companion. This is a friendly but not overly pushy breed, who gets along well with people. Love the breed but not sure it’s quite right for you or your family? Adams et al. 2010. Methods and mortality results of a health survey of purebred dogs in the UK. Journal of Small Animal Practice. Rettenmeir et al. 2005. Prevalence of canine hip dysplasia in a veterinary teaching hospital population. Veterinary Radiology and Ultrasound. Bader et al. 2010. An ADAMTSL2 Founder Mutation Causes Musladin-Lueke Syndrome, a Heritable Disorder of Beagle Dogs, Featuring Stiff Skin and Joint Contractures. PLOS One. Tipold and Jaggy. 1994. Steroid responsive meningitis‐arteritis in dogs: Long‐term study of 32 cases. Journal of Small Animal Practice. Callan et al. 2006. 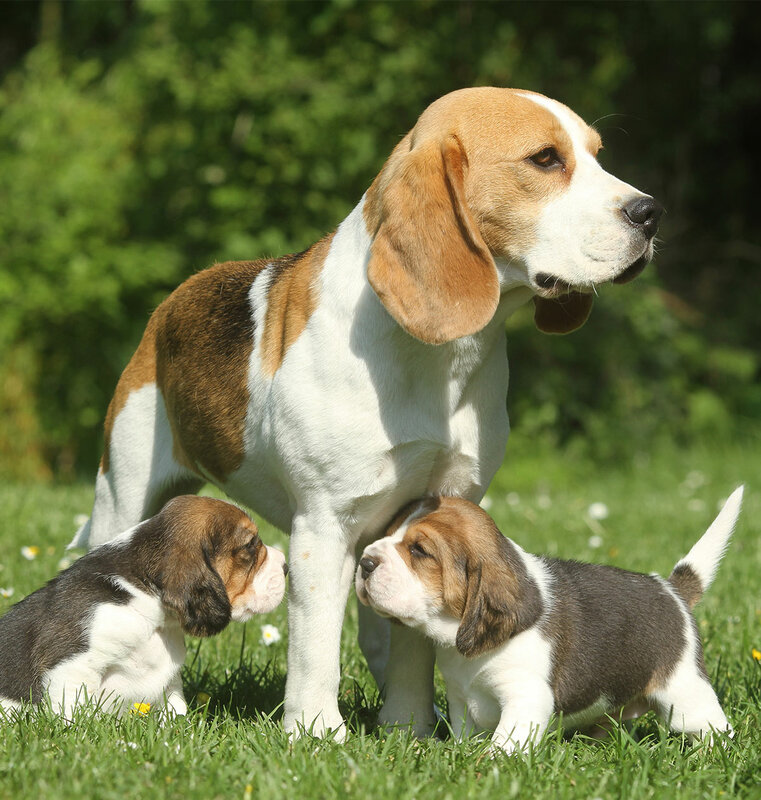 A novel missense mutation responsible for factor VII deficiency in research Beagle colonies. Journal of Thrombosis and Haemostasis. I will love to have a pocket mini version BEAGLE puppy ! !